As a first step in information sharing with the community, the School has agreed to provide written answers by early January to questions about the proposed building sale and the School’s financial health. Save Old Town School, a student-led organization that formed after the School’s board of directors voted to market the building, will collect and organize the questions. 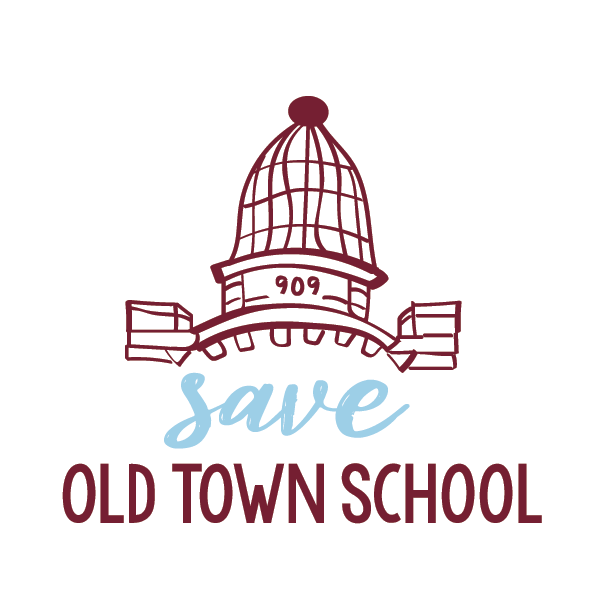 Save Old Town School has agreed to take active steps to promote student registration for the first class session of 2019, which starts Jan. 7. To encourage class registrations, the School has created special discount codes for use by Save Old Town School supporters, which expire Jan. 15, 2019. The decision to work jointly was made after conversations involving representatives of the School (Jim Newcomb and Rob Ospalik of the School’s Board of Directors and Rashida Phillips, the School’s acting executive director) and the SOTS group (Collin Anderson, Janna Henning, Lauren Miller, Michelle Stenzel and Rich Gordon). The conversations followed SOTS’ presentation to the Board of Directors meeting on Thursday, Nov. 29. That it is a critical priority for the School to turn around its multiyear decline in enrollment and restore growth to its instructional programs. That the Board’s vote on Oct. 18 was only to market 909 W. Armitage, and no vote to sell the building has been taken. That there is a need for a formal structure, such as a student advisory board, to create a channel of communication between students and the board. “We are planning to create further opportunities for students, the faculty and the Old Town School’s broader community to share information and to have open discussions about the future of the School in the coming year,” Newcomb said. As part of their joint efforts, the School has begun the process of forming Working Groups on three critical topics: 909 Alternatives, Communications and Enrollment. The Working Groups will be made up of two Board members, two to three staff members, two to three faculty and two to three students/members. The School has asked SOTS to recommend people for the student roles on the Working Groups and commits to naming at least one SOTS nominee to each group. SOTS will form additional student-led committees to move forward on other important issues while minimizing distractions to the School’s staff and Board. "We feel this is an important first step in hitting the reset button and building the trust we will need to restore the school to good health,” said Gordon of SOTS. "The current situation developed over years and won't be reversed overnight, but we are confident that if we rebuild a true partnership among students, the Board, Administration, faculty, staff and donors, we will be able to look back on these events as a turning point for the School -- when it became better than ever." Save Old Town School formed soon after the School’s Oct. 22 announcement that it was planning to put 909 W. Armitage on the market to help establish an endowment for the School. SOTS called on the School to hold off on the sale until the School’s stakeholders could learn more about the rationale and provide input on the sale. The School has since agreed to hold off on marketing the building until at least March 31. OTSFRIENDS19 - $15 off adult and teen group class registrations, including ensembles, costing more than $100. WIGGLEFRIENDS19 - $15 off Wiggleworms and kids’ classes costing more than $100.